In the the aftermath of a parking lot accident, your first priority should be safety. Before dealing with the legality of the situation, including who’s to blame and how it happened, you need to make sure that all parties involved are free from additional harm. Therefore, no matter how minor, if you or a passenger feels any pain following the collision, you need to seek medical attention to rule out any serious injuries. Calling the police. You may think it’s silly to call the police for a little fender bender. However, you need a police report to pursue any type of damage reimbursement from your insurance, not to mention any claims against the at-fault driver. Therefore, no matter the degree of damage, you should always report the accident to the police. Gathering contact information. While you wait for the police to arrive, you should take the opportunity to gather as much information as you can from the other parties involved. In addition to insurance information, names, phone numbers, and addresses can come in handy if your attorney needs to conduct follow-up interviews. Documenting the scene. After exchanging personal information, you should jot down notes and descriptions of the scene for future reference. Details in your report should include the license plate numbers of all vehicles involved, the position of each vehicle, and your precise actions leading up to the moment of impact. In addition to providing a narrative for the jury, these notes can help you remember the events if you need to recall them in court. Securing witness statements and police reports. Once the police arrive and you give them your statement, make sure you get the information you need to obtain a copy of his report. Do not allow him to leave without first giving you a case number, business card, or receipt that will allow you to identify the report once filed with the police department. Calling your attorney. Before deciding to pursue an injury claim, and definitely before you speak to any insurance adjuster, contact your attorney. In addition to giving you advice on how to proceed with a claim, an experienced attorney can also help you organize and secure vital pieces of evidence needed to prove negligence. Notifying your insurance. You’re obligated to notify your insurance of any and all accidents, including parking lot collisions. Although you may think it isn’t worth the hassle, it is. If you fail to notify your insurance company, you could jeopardize your entire claim. If, for example, you discover an injury several weeks after an accident you did not report to your insurance agent, the insurance company can claim that your “new” injuries aren’t related to the accident, and therefore not covered. Since you never informed them of the initial collision, you have no proof of when or how you sustained your current injury. For more information on parking lot accidents, including questions on liability and injury compensation, contact our office today to schedule a FREE, no obligation discussion of your rights and concerns. You can also visit our library of educational articles for legal support and insight. Did you find this article helpful? If so, please share it with your friends and family via Facebook to help us spread the word about parking lot safety and how to make an accident claim. 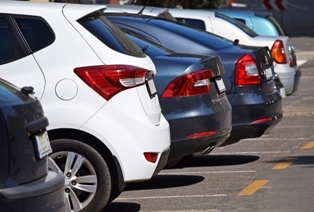 Who is liable if I get injured in a parking lot? Post a Comment to "Steps for Securing Your Parking Lot Collision Claim"